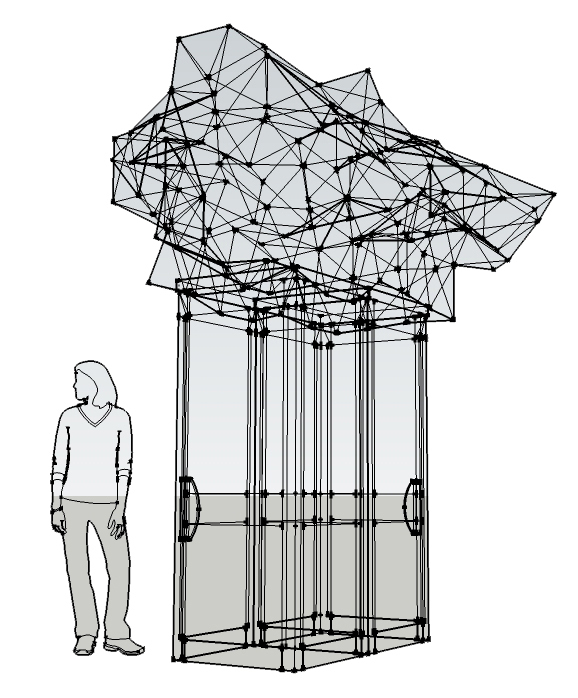 In 2012 we were approached by the Tank Collective, Dublin to create a sculptural / functional work for a street project initiated by Eircom (EIR) called ‘Engage’. 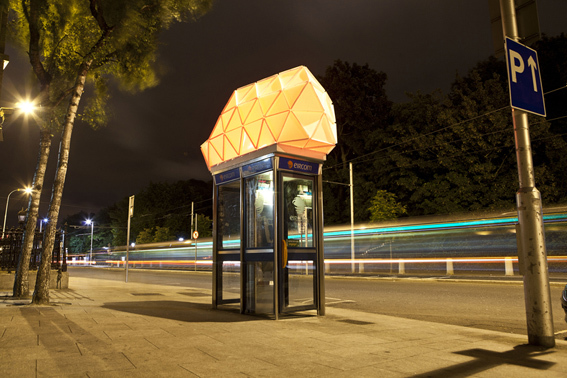 The idea of the project was to reinvigorate Eircom phone boxes with a striking work of art that would hopefully entice people to use phone boxes more. The project saw 5 boxes transformed throughout the city for a two week period from Friday 21st September 2012. The location was St.Stephen’s Green opposite the Luas tram line – one of the busiest terminals in the city. 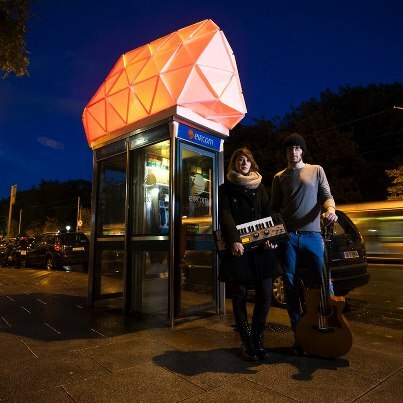 All images courtesy of The Tank Collective and Eircom.